During a winter storm, horses get a bit stressed. It’s windy. Visibility is poor. Conditions are in flux. Afterwards, the sun comes out and everything is quiet, peaceful, and bright. The sun warms horses’ coats. The birds resume chirping. The food is no longer getting buried. From a physiological standpoint, it’s time to rest and digest. From an ocular standpoint, it’s time to squint. 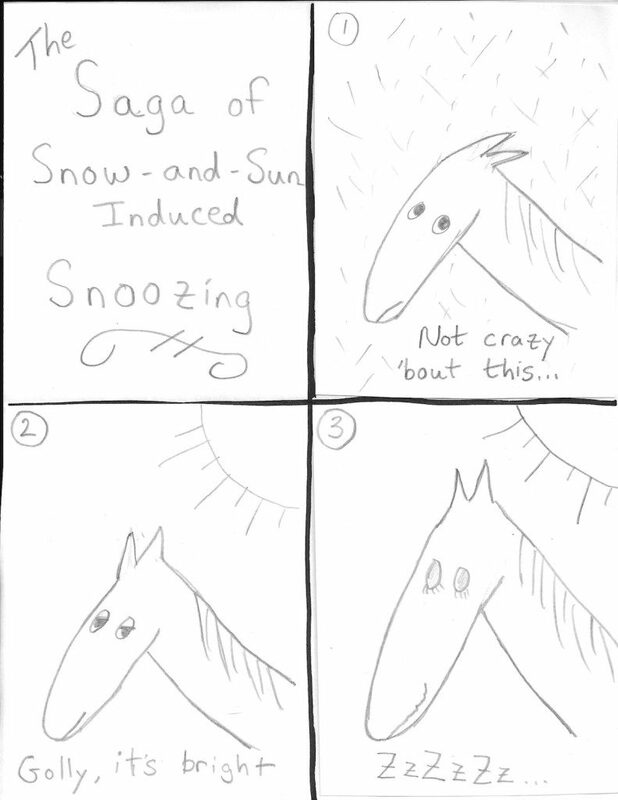 A horse with nearly closed eyes and in the parasympathetic nervous system begets…snow-and-sun-induced snoozing! 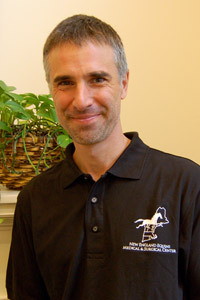 I wanted to learn more about horse’s ability to squint so I talked with Dr. Nicholas Cassotis a board-certified opthamologist at New England Equine Medical and Surgical Center, in Dover, NH, and Best Horse Practices Summit presenter, Dr. Sheryl King. 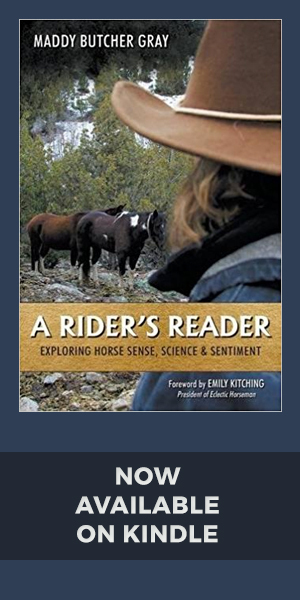 “Horses evolved during the Pleistocene Epoch on the edge of glaciers. They developed eye modifications to deal with the glare on sunny, snowy days. They have horizontally slit pupils, which can close down farther – and therefore eliminate more glaring light – than round pupils. They also have a special structure called a corpora nigra; a raggedy black projection (think, coffee grounds) coming off of the top and bottom of their pupil. The corpora nigra act as a polarizing filter that help reduce glare off of the snow. “As light intensifies, their pupils will constrict. This regulates the amount of light that strikes onto the retina. This is a hard-wired response called the pupillary light reflex. It operates the same in horses as it does in humans,” said Cassotis. 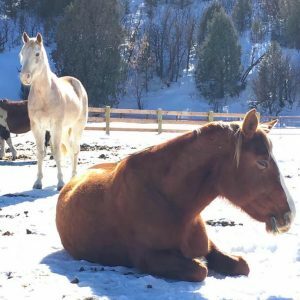 The jury’s still out on whether horses can get snow-blindness or photokerititis; that’s when the cornea essentially gets sun-burned. There is next to no Internet reference to support the occurrence of snow-blindness in horses. Posted in Research, Winter and tagged horse and glare, horse eye, snow glare.